and build a solid plan on where to go next. Strategize 360° is for every business. 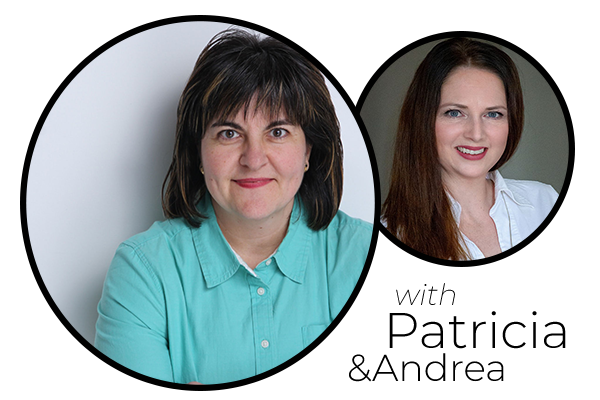 If you’re looking to grow, to improve, to diagnose or to plan, then get an inside view with Patricia, CEO of Heels Down Media and Marketing Expert, and Brand Manager Andrea. 2-on-1 Skype Consult to dial in your dreams and needs with Patricia and Andrea. Includes a complete overview of your marketing material. Behind-the-scenes team consult. Patricia and Andrea will review your materials and discuss recommendations. A full Consult Report that shows “High Fives”, where you’ve been doing great, where your weak spots are, and what actual, real steps you need to take to reach your business goals. Get exclusive access to Patricia’s Business Boost Private Facebook group. Get advice from Patricia and the Heels Down Media team, and mastermind with other business owners with like-minded goals. It’s raw. It’s real. And it gets right down to the stuff that matters specifically for your business. Find out what you’re missing, where you can improve and where you should invest your time and money. After working with numerous businesses in both equestrian and real world, from manufacturers, retail store owners, professional service providers, Patricia has identified the #1 reason businesses miss marketing opportunities. Find out what it is PLUS get more information right from Patricia and Andrea on what is included. How sound is your marketing strategy? Book a STRATEGIZE 360° session and find out.